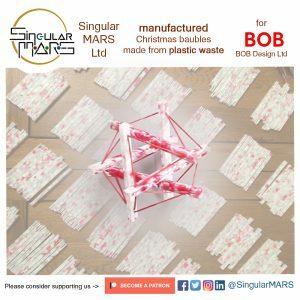 Singular Plastic Arts is a division of Singular MARS Limited focused on facilitating access to plastics recycling machinery to everyone via sales, hire, public demonstrations or performing workshops. Its main goal is to educate the public about plastics recycling while creating beautiful products out of waste. Our set of plastics recycling machinery can be rented out and delivered to you for a temporary use, or purchased straight away. Hiring them is recommended initially as it gives users a taste of what is like to use them and if they think it would be a good investment, purchase them (try before you buy). We are also happy to accommodate for bespoke production, we’ll process your plastic waste and create the products at your request. Another interesting option is for us to visit you and make a demonstration workshop of the machines, a great experience for events, museums, schools and private hires. Our product lines are formed by uniquely hand made pieces made by varied featured artists. They highlight the ability of waste to become a valuable material again and the importance of responsibly disposing them. A big part of our profits are used towards our mission: make this recycling machinery as affordable and accessible as possible, educate people about correct disposal of waste and ultimately rid the planet of plastic waste. This initiative is being kickstarted under the wing of Singular MARS ltd, but its goal is to become a company on its own right. Having such a environmental and social focus, and having acknowledged that financial profit is not its main mission, it will become a Social Enterprise, a Community Interest Company. For that to happen, we’ll need to grow a bigger team and a loyal customer base. So if you want to help us, buy our products, hire our machines, share us on social media or send us a donation! The master plan for this projects includes becoming a national-wide CIC in the UK, in which educating the people about recycling and creating jobs in the industry are the main goals. The initial idea for the project included a converted double decker bus (PlasticBUSters) with the recycling machines inside that would tour around the country, offering workshops and products to locals and showing the possibilities of making crafts out of waste. 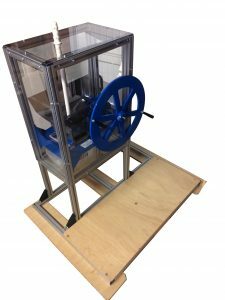 Soon we realized that to be able to afford such a big project we’d need to start with baby steps: offering local workshops, and online shop and renting out the machines, which can be easily transported in a pallet or carried by 2 people. If that wasn’t big enough, there’s an even grander goal. Wherever there’s a big rubbish problem in the world, there’s usually also poverty, and the local residents are unpowered to do anything about it. Mountains of trash keeps accumulating in their doorsteps. For these people, even the low-budget, low-scale recycling machinery is way off their means. For that reason we think it makes more sense to rent them out the machinery until their waste is sorted and then it can be deployed at a different site. 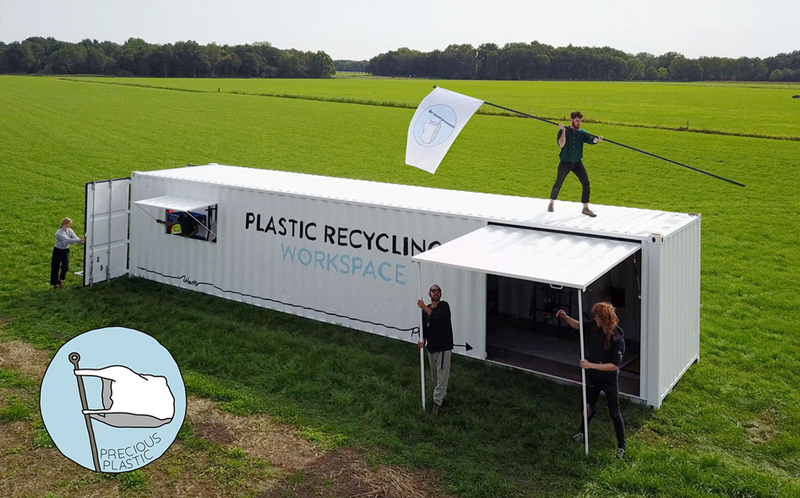 Inspired by the Precious Plastic Workshop-in-a-shipping-container, we’d love to develop a similar containerized solution that can be shared by the different communities around the world that are desperate to clean their neighborhoods. We believe that with your help we can do that ! Since circa 2013, Dave Hakkens from the Netherlands, helped by an international online community, has been developing Precious Plastic. The idea behind it is that plastic is a precious material, but is used as it has no value and irresponsibly wasted, polluting our streets, ocean and environment. For that reason he’s developed a set of desktop, user friendly, almost domestic machines. They are a small scale version of the heavy duty industrial machinery that is used to process and recycle plastic in bulk. With them, artists, DIYers and makers can recycle their local waste and create new products made out of recycled plastics, helping cleaning their communities reusing this valuable resource at the same time. Singular MARS, a company created in 2017 by Javier Rivera, is primarily an engineering company focused on the design and manufacture of machinery. It’s been manufacturing a number of Precious Plastic shredders that have gone all around the country, to other parts of Europe and even some places in Africa and America. An environmentally focused company at its core, it has created Singular Plastic Arts as the first spin out project, that will hopefully become its own company and reinforce the ‘Singular’ brand. Tyrone Probert and Liam Murphy have helped develop the PlasticBUSters concept and keep working on the creating of a nation wide Precious Plastic UK body. Check out our Merchandise shop for t-shirts, hoddies and bags made out of 100% organic cotton in a renewable-energy powered factory! Powered by the Zeus Theme.Copyright © 2019 Singular Plastic Arts · All Rights Reserved.